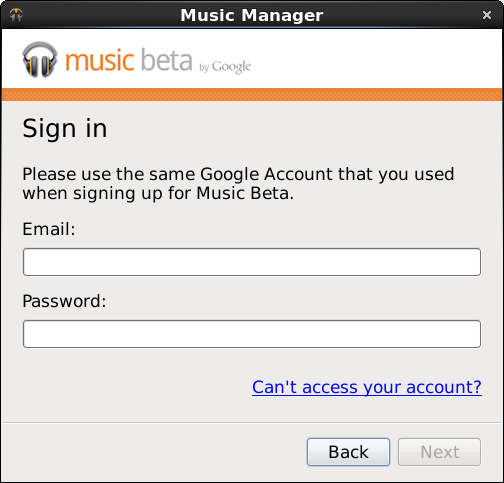 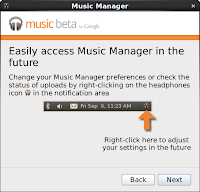 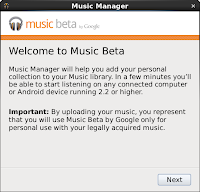 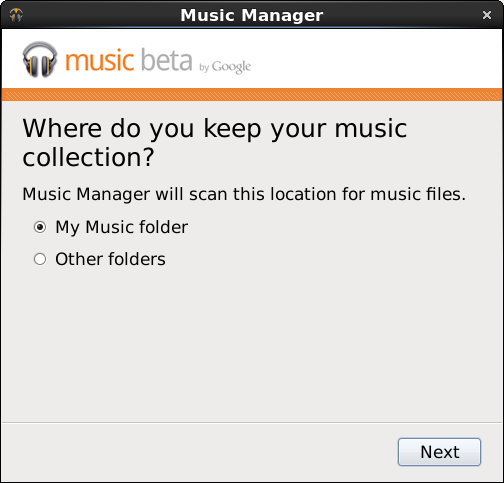 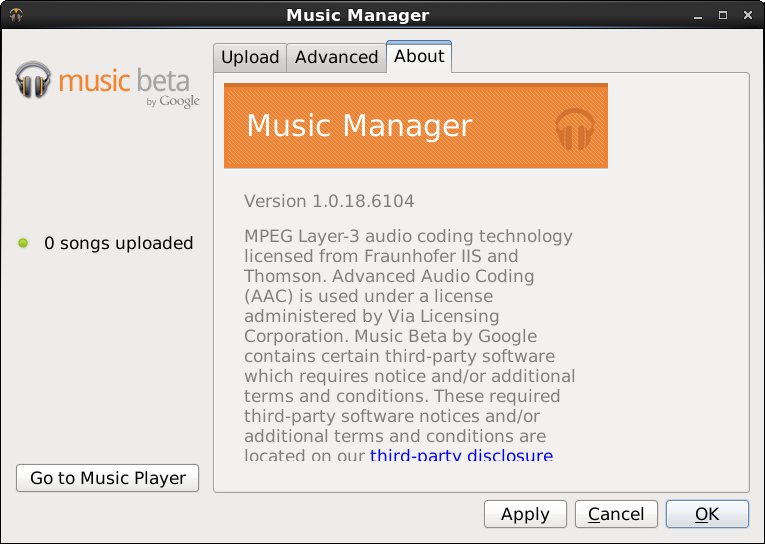 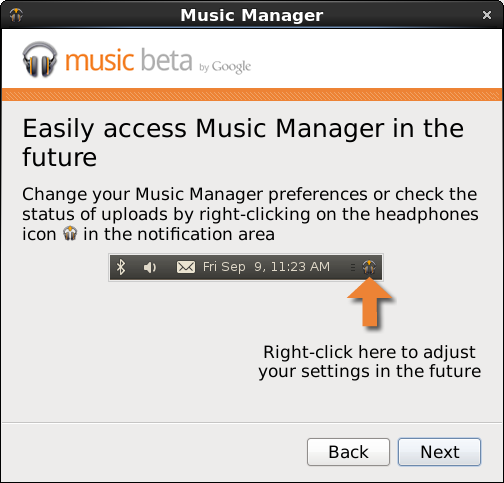 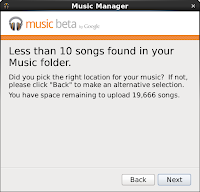 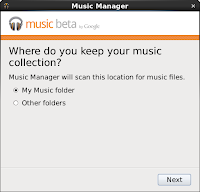 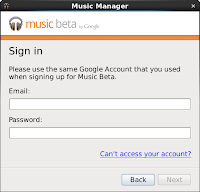 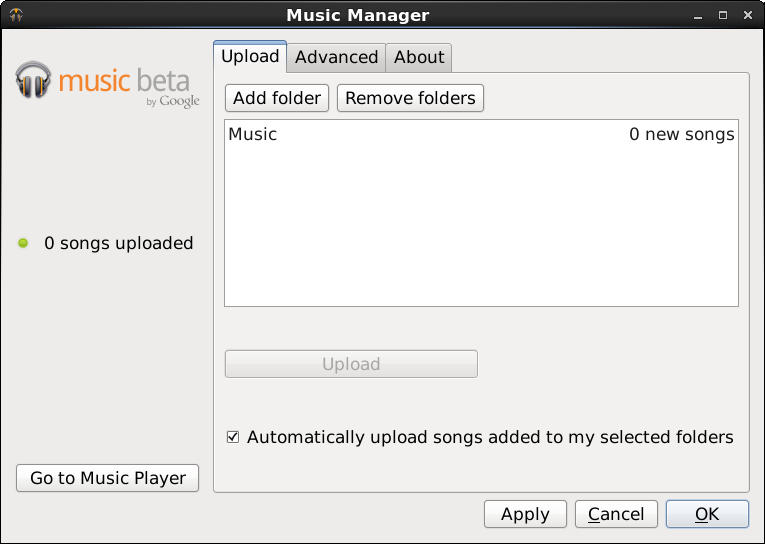 To Google's credit they have quickly moved to a native Linux client with their beta Music Manager, The "google-musicmanager-beta-1.0.18.6104-0.i386" was built on September 14 and made available on September 24 2011. 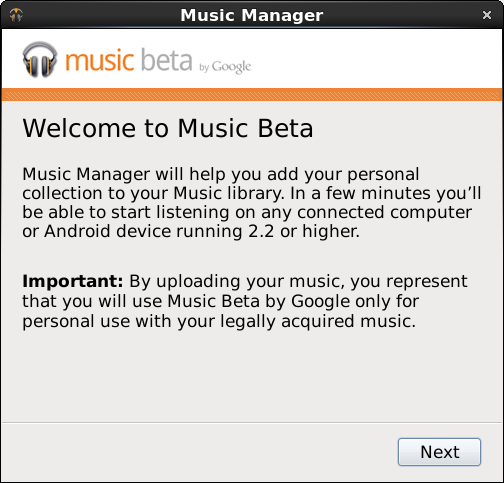 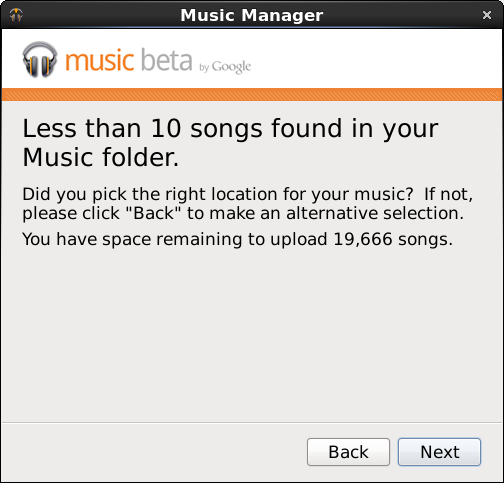 The initial Music Manager was built on wine like some other notable Google products (like Picasa). 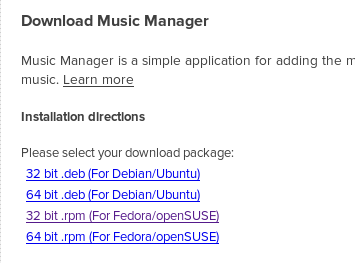 The Linux version of the Music Manager is now native! 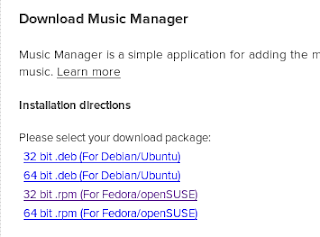 And since there is no bundled wine the install size is a very modest 9.5MBish.